Four Paws boarding kennels offer days of fun and nights of rest, stay with the best! Our modern overnight dog boarding kennels are perfect for a single night or for a longer stay. Built using the latest designs, technology and care methods, our aim is to promote a calm, quiet and stress-free environment. We can cater for individual dogs or large family bookings. We pride ourselves on our unique service and how well we know your dogs. When dogs come for a Four Paws holiday they can choose the service to suit their needs. This is either daycare fun with friends, followed by restful night’s sleep or individual paddock playtime throughout the day, followed by restful night’s sleep. All dogs will get lead walks around our beautiful grounds during their stay. Our team have extensive knowledge and qualifications which ensure your dogs are cared for to the highest standard. Their skills include Canine First Aid, Canine Behaviour and Psychology, Animal Management, Dog Grooming, Veterinary Support and Dog Training. All of our apprentices are working towards a level 2 NVQ in Animal Management within their duties at Four Paws, before they evolve their studies in their chosen field. 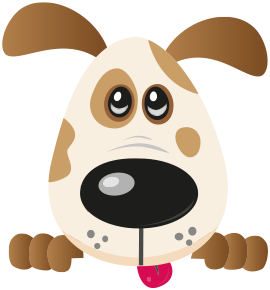 We regularly update social media which is a great way to check on your dog while you are away. Like our page Four Paws - Doggie Daycare, Boarding Kennels and Dog Grooming and you will see the pictures and videos of the dog’s fun.